Sensational images and stories about variations in Earth's climate and their impacts on society are pervasive in the media. The scientific basis for these stories is often not understood by the general public, nor even by those with a scientific background in fields other than climate science. This book is a comprehensive resource that will enable the reader to understand and appreciate the significance of the flood of climate information. It is an excellent non-mathematical resource for learning the fundamentals of climate analysis, as well as a reference for non-climate experts that need to use climate information and data. The focus is on the basics of the climate system, how climate is observed and how the observations are transformed into datasets useful for monitoring the climate. Each chapter contains Discussion Questions. This is an invaluable textbook on climate analysis for advanced students, and a reference textbook for researchers and practitioners. 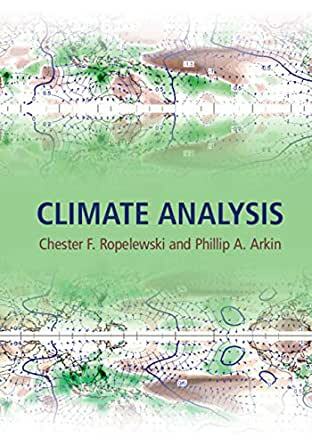 This book provides a non-mathematical exposition of climate observations, datasets, and models, based on the authors' combined decades of experience. It describes scientific principles, instruments, observations, climate datasets, and analysis techniques for advanced students, researchers and practitioners in climatology.